really happy to be here! 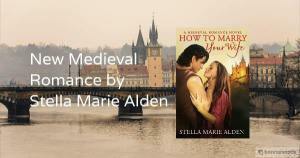 Stella Marie Alden loves Zumba, yoga, watercolor painting, and all genres of romances, Her first book, ‘How to Train Your Knight’, won Romance Writers of America coveted Molly and Show me the Sparks Contests, and placed in four others. Truly remarkable, considering she’s only been writing for three years. Growing up in Vermont, she loved to make up stories. Crayons fought each other over size and placement in their cardboard box and imaginary friends crowded the house. Her brother often complained. “Tell her no one’s here, Mother.". 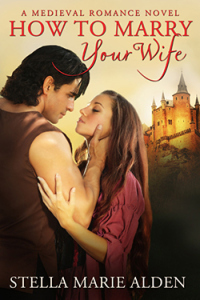 Her career paths have varied. She’s been a librarian, a classical clarinetist wanna-be, recording studio engineer, broadcast electronics repairman, and now she architects software programs. She lives in Bergen County, NJ with her life-long hero and their two cats. Her two girls are grown but ever supportive. You go Mom!